I believe cactus can take over the industry with continued development of their cross brand products. a trigger(transmitter) without a hot-shoe would be very welcomed. a transmitter like in this image would be nice for the mirrorless cameras. strobes would be a good addition! Yes, I'd like that as well. 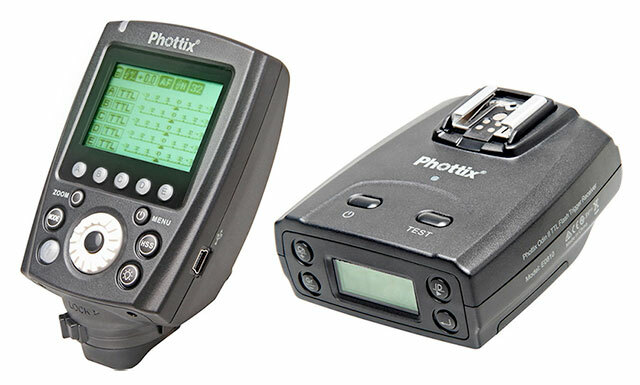 I don't need an on-camera flash and would love to trade the hot-shoe on the transmitter for a bigger display. I wouldn't want to have a wheel like the one on the transmitter shown, though. I much prefer the dial of the V6. For me, I quite enjoy the idea of transceivers. If I'm reliant on a transmitter and something goes wrong on location, id be stuck. With Multiple transceivers i can put any one in transmit mode. Having said that, it could be a great edition to the lineup of cactus products if a trigger like the one suggested above, should work in conjunction with the current V6ii and RF60 system. the benefit besides the larger screen would be more buttons, which means more functions at your fingertips like AF assist on/off, sleep mode on/off or modeling light on/off. I wonder if such a trigger would be able to crack the code for triggering the kind of studio lights which has RF control already built in like like Elinchrom or Profoto? Not sure if it is possible, but if so, this feature would add greatly to the appeal of the unit and flexibility to add speedlights the same system, controlled by the same transmitter. Thanks LeonsLens for your comments. True. Always good to have a back up. The other advantage of being a transceiver is the top hot shoe - some people appreciates it having the ability to mount on-camera flash and have TTL Pass Through. Great for event photographers always moving in different lighting environments. I am planning to use Cactus V6 II to trigger Nikon Speedlights and Elinchrom RX500Bi strobes. Could you please confirm that tCactus V6 II can trigger Elinchrom RX500Bi strobes. Rest assured! The V6II comes with a 3.5mm sync terminal to connect with strobe including Elichrom. Surly, they can work together. new flash looks good. will there be a tx (no hotshoe) coming soon? like by year end? ... will there be a tx (no hotshoe) coming soon? like by year end? 2017 ... maybe? But probably more like 2018 if there's really going to be one.